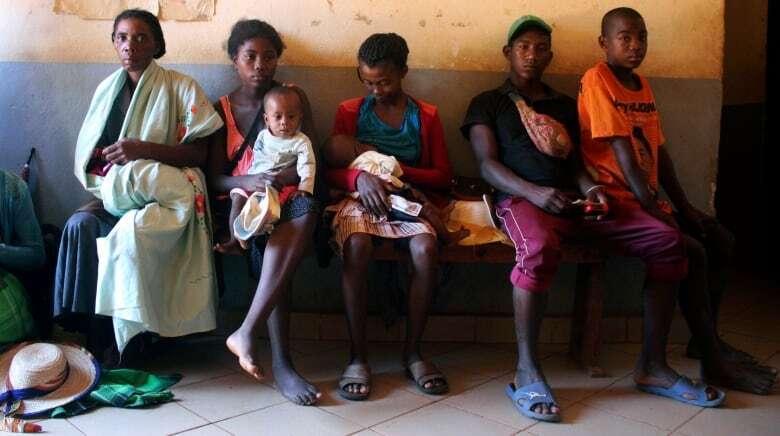 Just 58 per cent percent of people on Madagascar's main island have been vaccinated against measles, a major factor in the outbreak's spread. 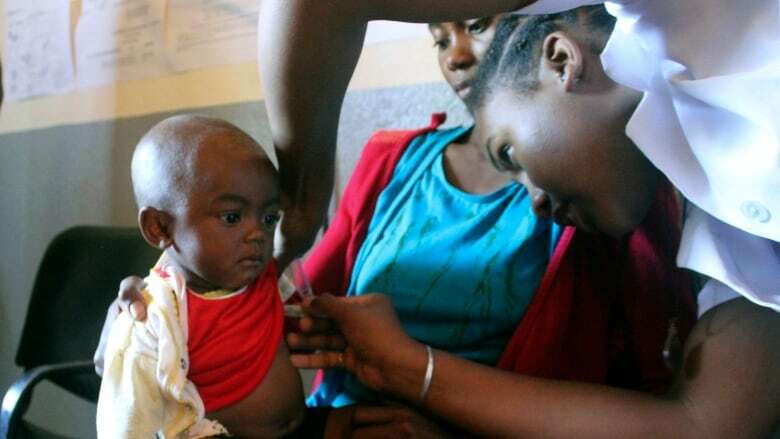 With measles one of the most infectious diseases, immunization rates need to be 90 to 95 per cent or higher to prevent outbreaks. "He has a fever," she said. "I think it's measles because there are these little pimples that have appeared on his face." The nurse quickly confirmed it. Razaijafisoa's baby weighs just 11 pounds (5 kg). 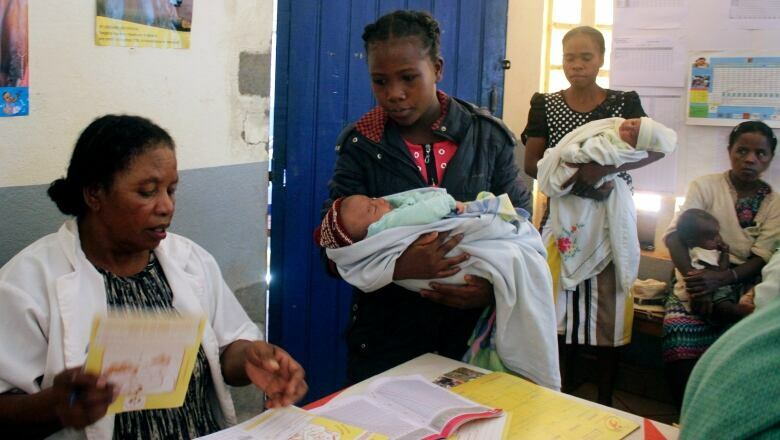 "This is the case for almost all children with measles who have come here," said Lantonirina Rasolofoniaina, a volunteer at the health centre. "It's my six-year-old daughter who had measles first. She had a lot of fever," she said. "I called the doctor, but it was Friday. He had already gone to town. I went to see another doctor who told me that my daughter had an allergy. ... This misdiagnosis was almost fatal." "Vitamin A is given to children to increase their immunity. We try to reduce the fever. If there is a cough, we give antibiotics," said Dr. Boniface Maronko, sent by WHO to Madagascar to supervise efforts to contain the outbreak. If the disease is not treated early enough, complications can appear, including diarrhea, bronchitis, pneumonia and convulsions. "I had five children. They all had measles. For the last, I did not go to see the doctor, because I did not have money," she said. "I gave my baby the leftover medications from his big brother to bring down the fever."